Spiderweb cookie cutters available for Halloween! 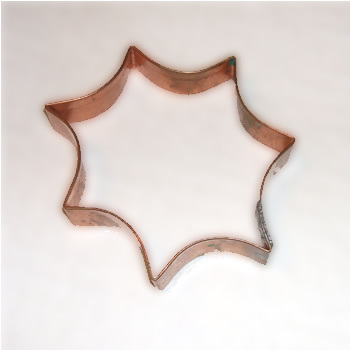 This is a copper cookie cutter shaped like a spiderweb. Make a batch of these and top them off with dime sto partyre plastic spider. Deliver them in one of our coffin gift boxes. Sure to be a hit at the next Halloween!